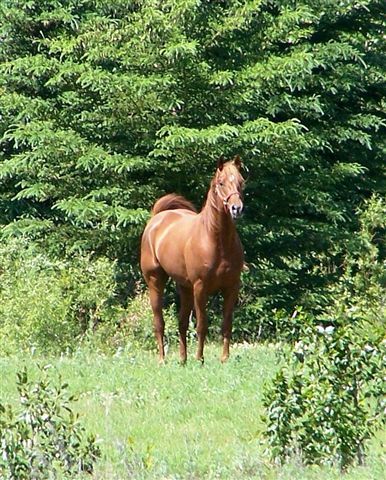 Big Red is our herd sire, he is 17+h.h., with a great disposition, which he passes onto his foals. We have two of his foals on the ground now, and expecting a third soon. His foals have lots of substance and class.